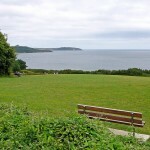 Why not take a short stroll or drive and visit one of the many fantastic picnic spots in and around Falmouth? 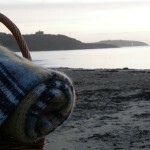 You can even order your picnic from us online or over the phone for collection or local delivery! Where will you choose..? 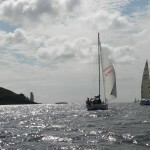 Distance from shop: As near or far as you choose to explore! 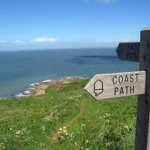 Spoilt for choice in each direction, take time to explore the wonderful South West Coast Path – collect your Picnic Cornwall picnic before you head off or order and we’ll rendevous to deliver your picnic to you (where we’re able to get good access). You’ll wonder why you’d never explored it before! 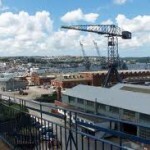 A fantastic vantage point overlooking Falmouth Docks with stunning views across to the town. 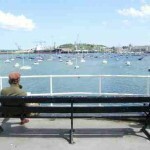 Distance from shop: 35 minute walk or a short hop in the car! 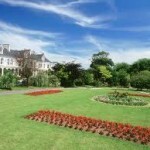 A beautifully manicured green gem just up Kimberley Park Road from The Moor – lovely tranquil setting for a truly Cornish Picnic Cornwall picnic! 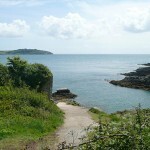 Pendennis Point offers an array of views and a lovely walk to find your perfect picnic spot! 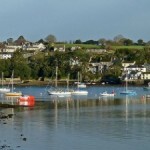 From views across the Carrick Roads towards the Truro River, to St Mawes, sweeping around past Black Rock to St Anthony’s Head Lighthouse, and then on to Falmouth’s beaches and the entrance to the Helford River in the distance… perfect, sit back and enjoy your lovely Cornish picnic! 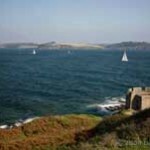 Sea fronts don’t get better than this – Cliff Road is a fantastic stretch for a peaceful stroll with magnificent sea views. 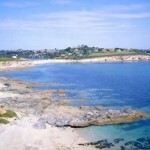 Spoilt for choice on where to stop and have your picnic! Take a stroll from Picnic heading right along Church Street for just about a minute – spot the steps descending on your left, walking down them for the view in this picture. 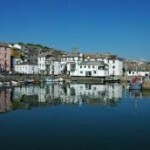 When you reach the bottom, Fish Strand Quay spreads out to your left and is a fantastic position to take in the whole harbour from the river up towards Penryn to your left to Falmouth Docks and the National Maritime Museum Cornwall to your right. 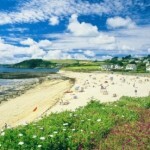 One of the most popular beaches in Falmouth, a Blue Flag status beach, with its wide arc of golden sand and inviting sea. 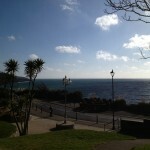 Only a 10 minute walk away from Falmouth Town Centre – collect your picnic from us or we can deliver to you at the beach! Taking a left as you leave Picnic in Church Street, the Prince of Wales Pier is found a short stroll away – reaching the end of Market Strand, head right. 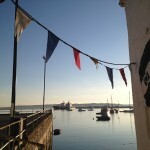 The Pier has lots of benches and a fantastic view across the river to Flushing and the Carrick Roads to St Mawes.